to class the other day. Here are some detail shots. Most of the prints are from my various Moda collections. 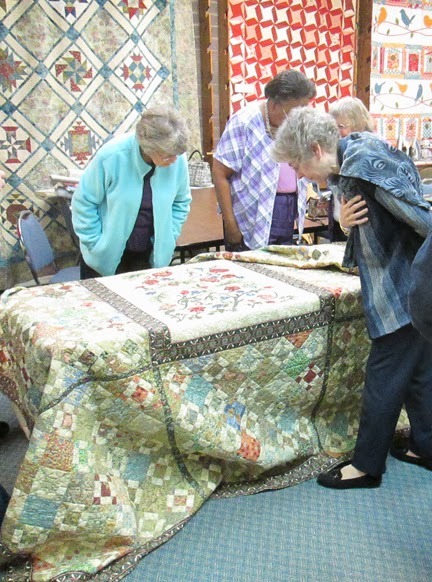 Freda Smith machine quilted it. 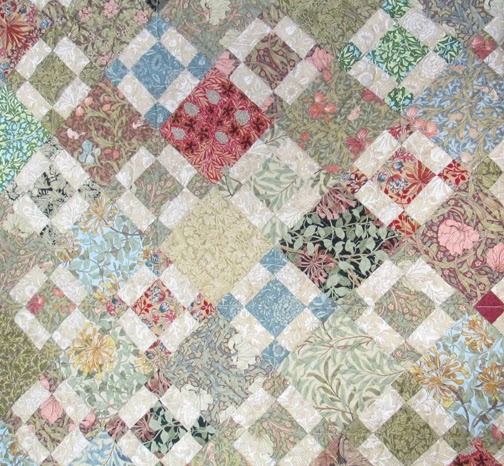 you can see it's an appliqued medallion in a large field of nine-patch patchwork. 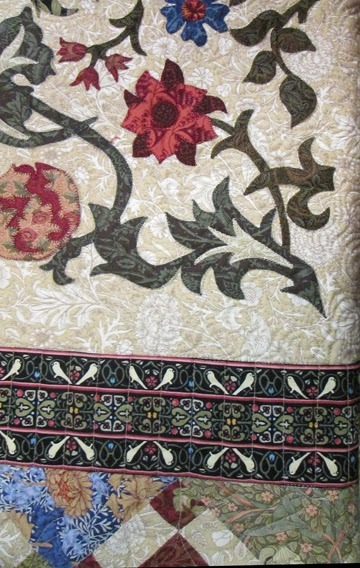 from Michele Hill's More William Morris Applique. 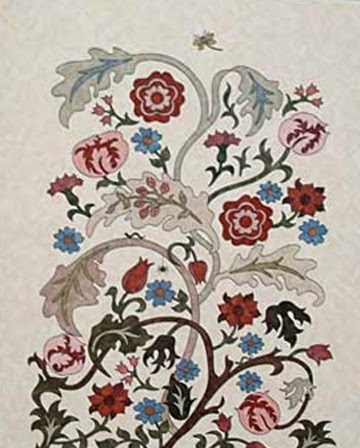 Betty used a machine-applique technique with raw-edged, fused fabrics stitched with a machine blanket stitch, as described in the book. I thought it turned out rather nicely and I was glad to help. Oh Barbara, thank you for sharing this. 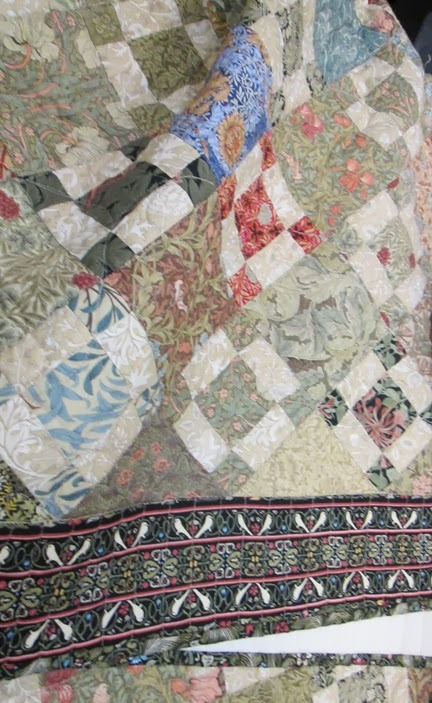 It is exquisite and contains three of my favorite things in a quilt - William Morris fabric, a medallion in the center, and nine patch blocks, which I love. This book is a definite purchase this month. I missed many of your Civil War blocks due to illness. Are they still available online, and if not, are they going into book format? Thanks. Isn't it beautiful? 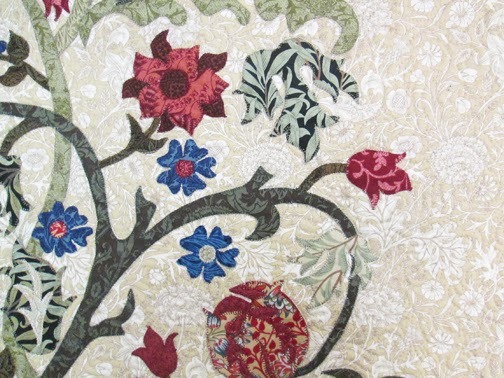 Applique can just make a quilt dance with life. Thanks for sharing all you do with us Barbara. 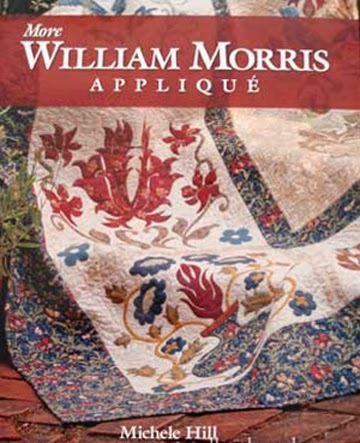 I've just begun collecting CW reproduction fabrics, and have been trying to decide where to start. 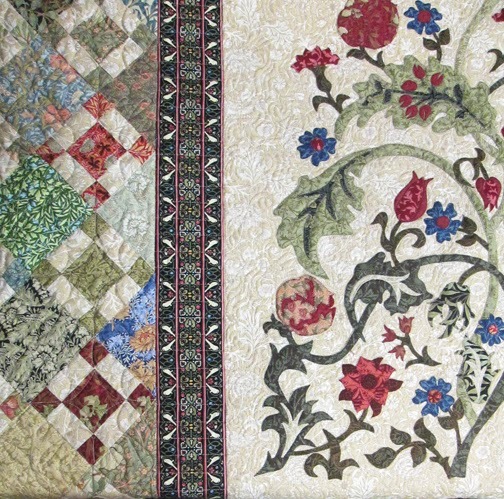 The appliqué is a little more than I can imagine myself doing, but may try those 9 patch blocks.